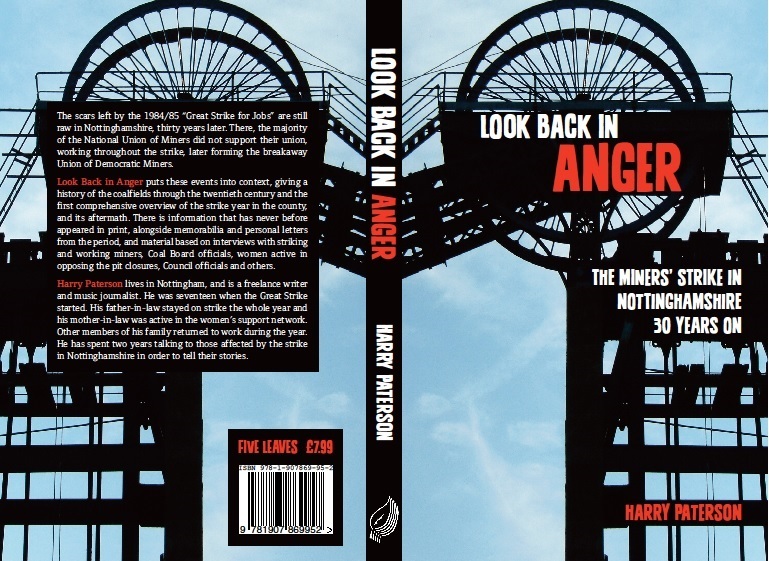 Those groovy people at Five Leaves Publications have released my book, Look Back in Anger – The Miners’ Strike in Nottinghamshire – 30 Years On in electronic format. Compatible, I’m told, with Kindle and all other e-reader devices. The miners’ strike is without precedent. Among many aspects that marked out the dispute as entirely different from any other industrial struggle that preceded it, were the sheer tenacity, bravery and commitment displayed by its participants. One Hucknall miner spoke of the moment he nearly caved in and went back to work. Today the UDM is a husk, with barely 300 members and its former President, Lynk’s successor, Neil Greatrex, is an acute embarrassment to his former organisation. The former UDM chief dipped his fingers in his Union’s till and was convicted on 3rd April 2012, of fourteen counts of theft.